Waste Ventures transforms the way municipal garbage is handled in developing countries into a more environmentally and socially friendly process based on market mechanisms. 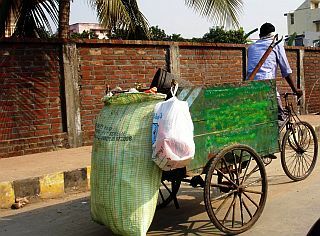 Uncollected garbage is mostly collected by wastepickers who make a pittance from recyclables and face many health issues. Waste Ventures provides technical assistance to social organizations that work with waste pickers to transform them into waste picker corporations. It provides them with a triple bottom line blueprint (fee-for-service collection, recycling, composting, monetizing carbon credits, and creating biogas) and then assist the transition of the organization’s capital to the waste pickers themselves.